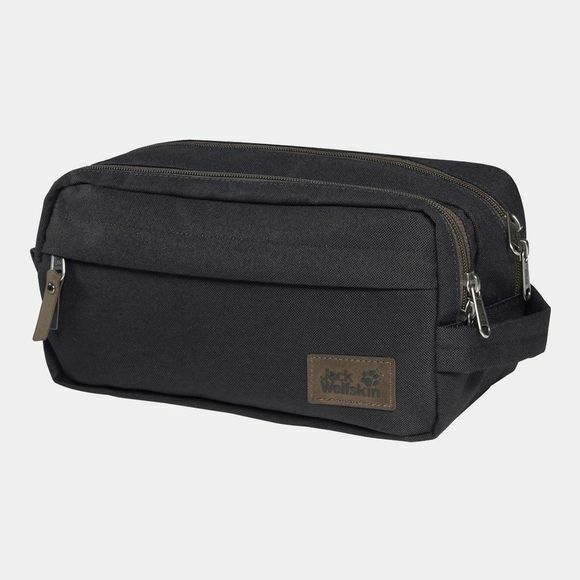 The Baywater Wash Bag from Jack Wolfskin has two large compartments with lots of space to pack your bathroom essentials in a neat and tidy fashion. There is also a little flat compartment at the front for smaller items. This Seven Dials wash Bag is fully padded to protect fragile contents. The main fabric is made from recycled PET plastic bottles. The large carry handle can also be used to hang the Bag up.